Ah, it is campaign finance report week. It’s such fun to browse through candidates and committee reports. Ok, maybe not fun, but it has to be done. The Board of Education race is a non-partisan race. 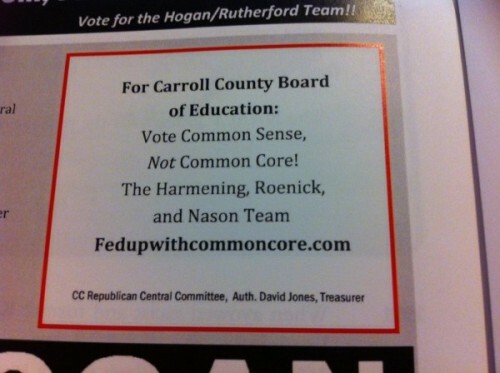 Yet the Carroll County Republican Central Committee has so far spent over $1,000 on three candidates. The finance reports of the Carroll County Democratic Central Committee show no such expenditures. While Carroll Values Education is a non-partisan group, it is made up of people who are Republicans, Democrats, Libertarians and others. This partisan influence on the outcome of a non-partisan election is NOT ok. And we should let them know it!